Quick and easy and ready in 30 minutes. A perfect pasta dish for busy family life! Serve with a handful of baby spinach and basil and lots of black pepper. 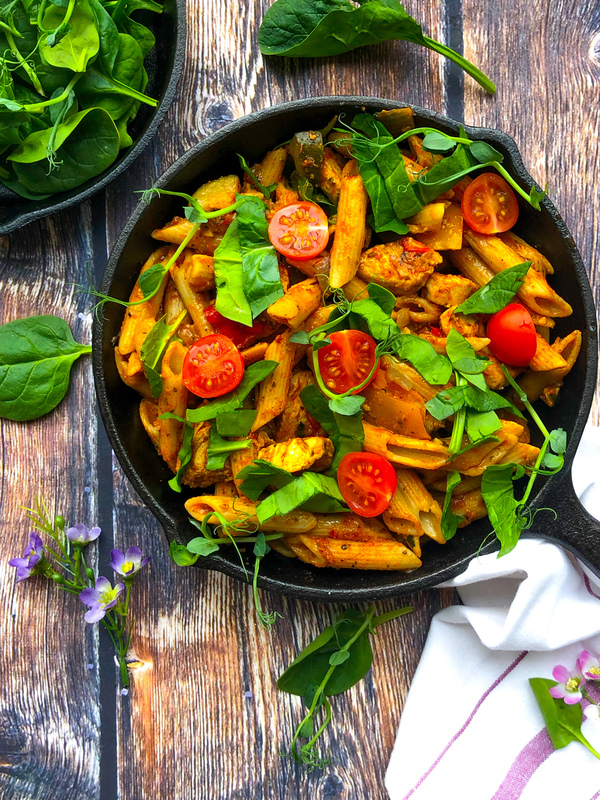 Peppers are a great source of vitamin C and whole wheat pasta is high in fibre and will keep you fuller for longer!